Have you heard of the superb Betsson Germany Casino Welcome offer? 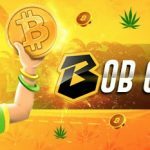 Well, if you have not yet signed up at Betsson Casino, then take advantage of this awesome offer for new players residing in Germany and Switzerland. If you reside in other countries, don’t despair! Betsson Casino has a welcome offer for you too! New players residing in Germany and Switzerland can make their first deposit to accept a 100% bonus up to €200 + 200 Free Spins. Remember to select the offer before making your minimum deposit of €10. Players will receive 10 Starburst Spins over 20 consecutive days after your deposit has been successfully made. 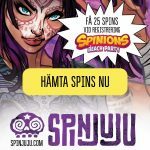 Claim your Spins each day between 10:00CET to 23:59 CET. Wagering requirement: 35x for the welcome bonus, and 25x for winnings from your spins. Players depositing via Neteller or Skrill are not eligible for the welcome bonus offer. New players residing in the ROW are able to claim a welcome bonus of 100% up €/$100 with a minimum deposit of €/$10. Unfortunately, this offer is not available for players residing in the following countries: USA, Spain, Hong Kong, France, Italy, and China. New players residing in the UK are able to claim a welcome bonus of 100% up £100 with a minimum deposit of £10. The minimum deposit is £10 to claim your welcome offer. Wagering requirements are 40x unless otherwise stated, and must be fulfilled in 30 days of activating the bonus. The maximum bet when bonus money is active is £6 per game round, or 50 pence per line. Unfortunately, the abovementioned welcome offer is not available for players residing in the following countries: USA, Spain, Hong Kong, France, Italy, and China. EXCLUSIVE OFFER: NightRush Casino No Deposit Free Spins and Welcome Offer now available! The secret’s out! 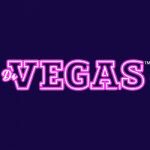 Get your Dr Vegas Casino Reel Spins Zero Wagering today! Posted in Betsson and tagged Betsson Casino.